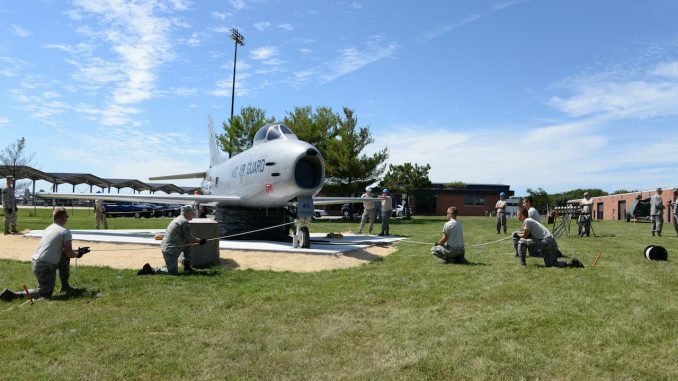 F-86 Lifted With an "Airbag"
On September 7th,members of the 175th Maintenance Group, Crash Damaged Disabled Aircraft Recovery (CDDAR) team,Maryland Air National Guard ,used a 26-ton airbag to raise an F-86 Sabre jet onto stanchions as part of a permanent static display. 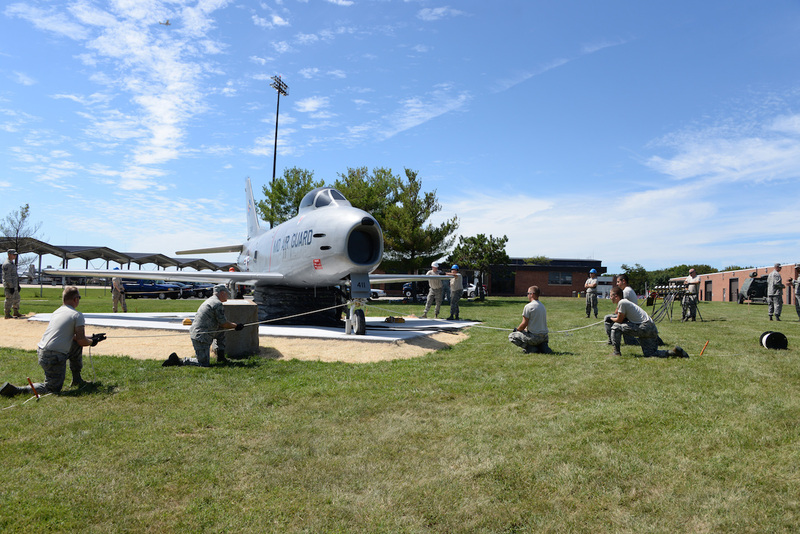 The CDDAR team worked together to raise the aircraft for the display and also to gain valuable training using the CDDRA equipment.In 2011 members 175th Maintenance Squadron’s crash recovery teams, Maryland Air National Guard, removed the supports of the F-86 static display once the lifting bags raised the aircraft high enough. 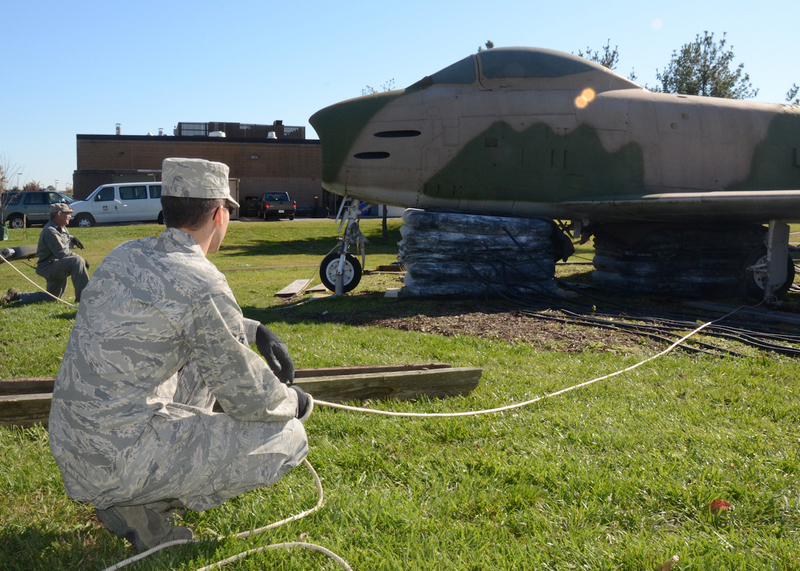 The team of over 50 worked to move the Korean War aircraft to make room for the new 135th operations building.